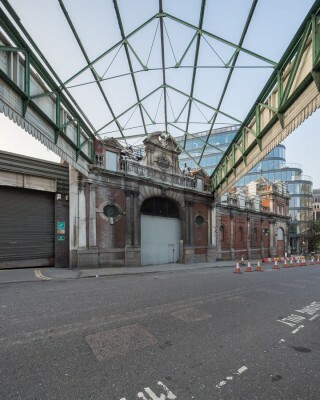 The Museum of London announced today the six architectural teams shortlisted to design its new museum in West Smithfield in the international design competition organised by Malcolm Reading Consultants (MRC). The museum also released full details of the competition jury. 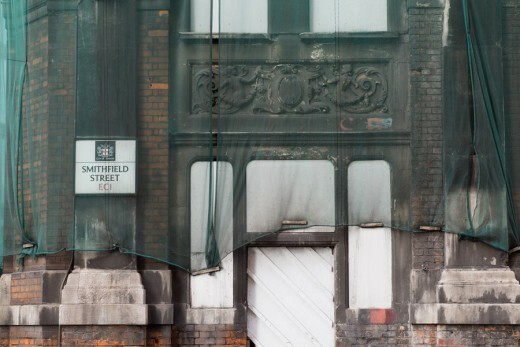 The new museum, which has a £130-150m construction budget, will secure the future of a series of much-loved heritage buildings at West Smithfield, help regenerate this historic part of the City of London and relaunch the museum, which has seen its audiences soar in recent years. Almost 80 teams (comprising circa 140 practices) entered the first stage of the competition, which had a strong international showing. The shortlisted teams were selected on the basis of relevant skills and experience, particularly, those involved with significant cultural projects which have had a truly transformational impact. The Museum of London has appointed a stellar panel of jurors from the worlds of the arts, media, property, architecture and business. The jury will be chaired by Governor of the Museum of London and television and radio presenter, Evan Davis. 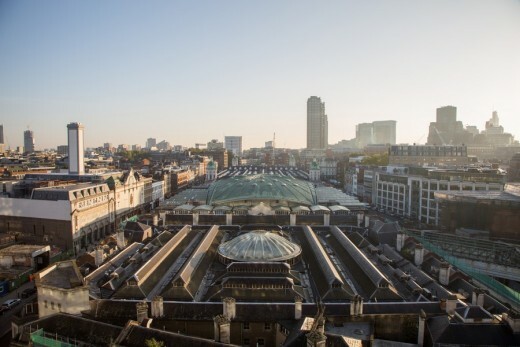 The Museum of London wants to bring the extraordinary story of London to West Smithfield, to tell Londoners about their city, their history and their lives, and showcase the largest archaeological archive in the world. The museum’s ambition is to be at the heart of a new, well connected cultural hub and be one of London’s most visited museums. Finding a winning architect is an important first step in that journey. Funded by the Mayor of London through a £200,000 grant, the competition is being run in accordance with European Union procurement guidelines under the Restricted Procedure. For over a decade, BIG Bjarke Ingels Group has been building a reputation as one of the most creative and intelligent architecture offices in the world, working for major institutions such as the Smithsonian and companies such as Google. With over 300 employees based in Copenhagen and New York (and soon London), BIG’s projects are widely recognized as sophisticated design solutions that create dynamic community spaces and innovative forms. BIG’s buildings have been successful on many levels, winning prestigious international awards for architecture, landscape, and urban design, while achieving programmatic, budget and schedule goals. Significant projects in their cultural portfolio include the Danish Maritime Museum, a museum come to life in an abandoned dry dock in Helsingor, Denmark and 2015 Mies Van Der Rohe Finalist, and their ongoing work with the Smithsonian Institution for their South Campus Master Plan in Washington, DC. Its work is enriched by an on-going dialogue with the European city and with history – that of architecture, art, and culture more widely – traditions that bring an accumulated richness of expression to the work. Ideas are elaborated in a manner akin to art practices that engage directly with the built environment and embrace the ‘found’ space. Caruso St John intervenes in sites carefully, valuing the humble and everyday as well as the more celebrated products of the architectural canon. It is the context that is the starting point for generating form rather than allowing the programme to dictate the architecture. Sergison Bates’ work is informed by a sensitive approach to place, the experiential potential of materials and construction and a concern for the environmental, social and economic aspects of sustainability. Award-winning projects include the Ruthin Craft Centre, Wales, the Blankenberge city library, Belgium and urban housing projects in London, Geneva and Vienna. Diener & Diener’s work is concerned with the variety and continuity of the European city. Their work ranges from residential projects to masterplans for regenerating urban areas and the renovation of historical public buildings – among them the Museum of Natural History, Berlin, and the Shoa Memorial in Paris. 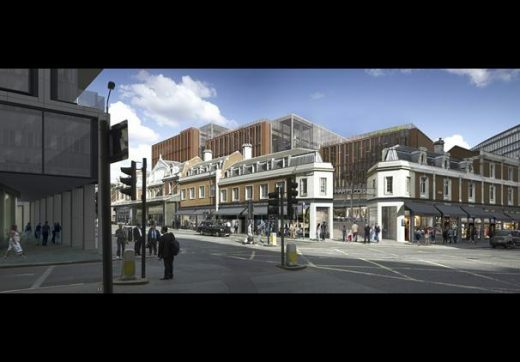 East will develop the public realm strategy, while Graphic Thought Facility will be in charge of wayfinding and identity. Through collaboration, the team aspire to create a contemporary architecture that looks beyond form alone and seeks to root projects in the city, considering the life and memory of place a significant aspect of design. Anne Lacaton and Jean-Philippe Vassal are the principals of Lacaton & Vassal Architectes, a Paris-based internationally renowned practice, since its creation in 1989. Lacaton & Vassal Architectes engages different public programs and scales promoting an idea of architecture based on generosity, freedom of use and pleasure. Its work has been recognized with the highest awards in France (‘Equerre d’Argent’ in 2011, ‘Grand Prix de l’Architecture’ in 2008) and internationally (‘Rolf Shock prize’ in 2014, ‘Design of the year’ in 2011, ‘International Fellow of the RIBA’ in 2009). Pernilla Ohrstedt Studio is a London-based architecture and design practice realising innovative projects that span the disciplines of architecture, art, design and fashion. The studio produces work for and with international clients and collaborators such as Vitra, Coca-Cola and Mark Ronson, The Architecture Foundation, The Royal Academy of Arts, The British Council, Topshop, the Venice Architecture Biennale and Storefront for Art and Architecture. A collaboration between Stanton Williams and Asif Khan working together with conservation architect Julian Harrap; public realm consultant J&L Gibbons; and design manager Plan A. 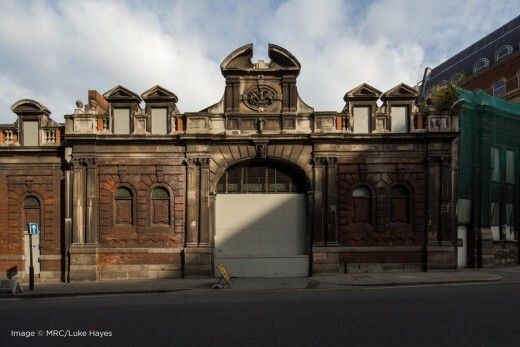 We are immensely excited at the possibility of working on this wonderfully challenging project – participating in an endeavour that will transform an area of London that has such a rich history, but sadly has been in decline for many years. Projects by the team members include: the UAL Campus for Central Saint Martins at King’s Cross, King’s Cross Square, the 2012 Stirling Prize-winning Sainsbury Laboratory; the Neues Museum in Berlin; The Coca Cola Beatbox Pavilion at the London 2012 Olympics, the Angel Building, Islington and the yet to be completed Open Up project at the Royal Opera House in Covent Garden. 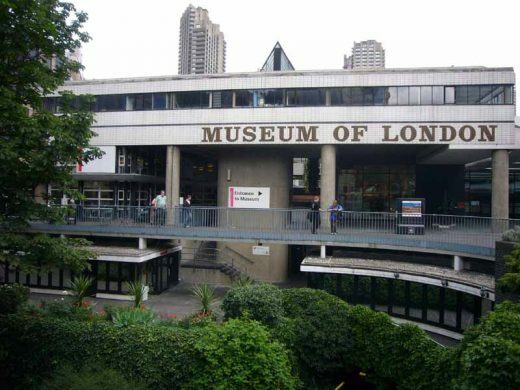 We believe the creative team assembled are without doubt capable of providing the chemistry, passion, dedication, inspiration and knowledge required to deliver a world class scheme for the Museum of London. studio Milou architecture is a French architectural firm with offices in Paris and Singapore that specializes in the design of museums and cultural spaces and the adaptive reuse of heritage buildings. It was founded in 1997 by architect Jean-Francois Milou whose work has focused on finding imaginative solutions for the reuse of historical buildings while respecting their fabric, meaning and surroundings. Notable projects include museums at Mulhouse and Cherbourg in France, and in 2007 the firm was placed first in the international competition for the National Gallery of Singapore (NGS). Its adaptive reuse of the Carreau du Temple, a 19th-century heritage market in Paris, opened to the public in 2015. The firm has won numerous awards and its work has been featured in various publications. It has a trademark attachment to preserving the integrity of historical buildings while developing elegant and simple designs that accommodate both contemporary and functional requirements. The City of London Corporation has a long history as a leading investor in the arts including the Barbican, Guildhall School of Music & Drama, London Symphony Orchestra and Museum of London in the Square Mile. 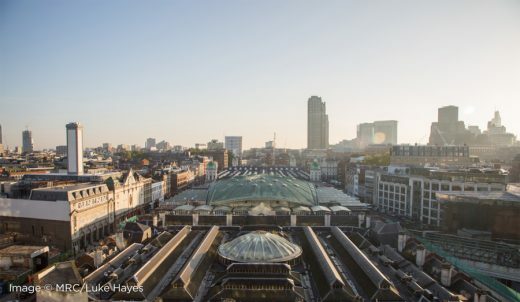 Together they are working to transform the area from Farringdon to Moorgate and the evolving cultural hub to create an unparalleled destination that is an internationally renowned, distinctive, vibrant and welcoming centre for the arts, heritage, learning and entertainment. 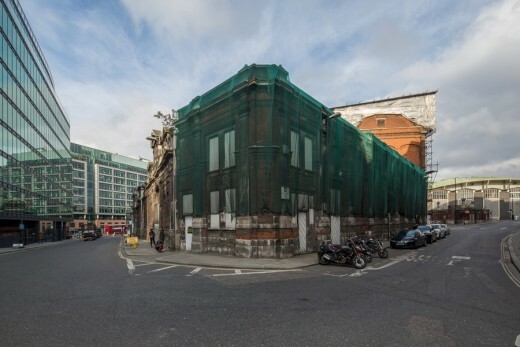 A potential new Centre for Music and new Museum of London are a key part of the vision for the cultural hub and will help to redefine this area of the City well in to the future and reinforce the City’s central role in the cultural life of the country.